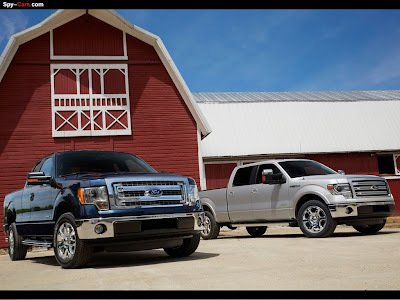 Ford Motor Company celebrates introduction of the new 2013 Ford F-150 - part of the best-selling line of pickups in America - with the agricultural professionals and leaders of tomorrow. "Like our hardworking customers, Ford is committed to getting the job done right with our industry-leading trucks," said Mark Fields, Ford president of The Americas. 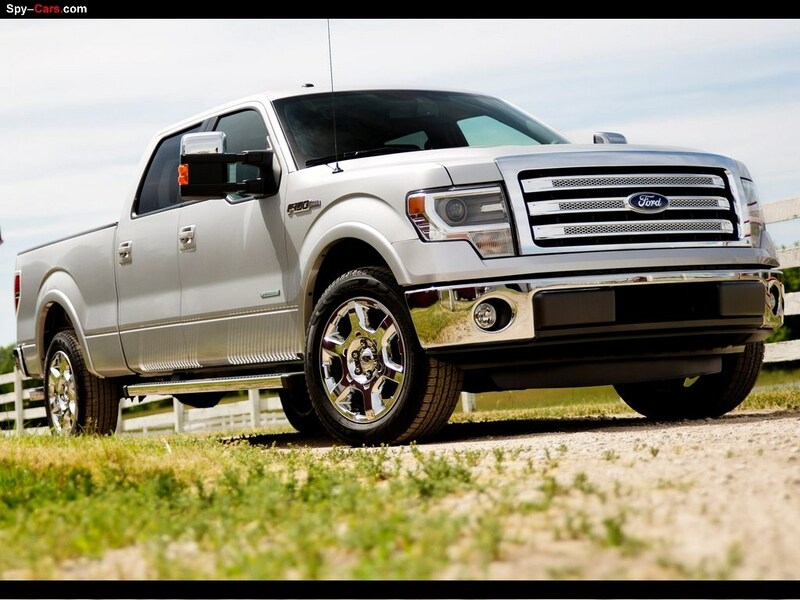 "The 2013 F-150 demonstrates our commitment to continuously improving our trucks with new features and capabilities, allowing F-Series owners to be increasingly productive." 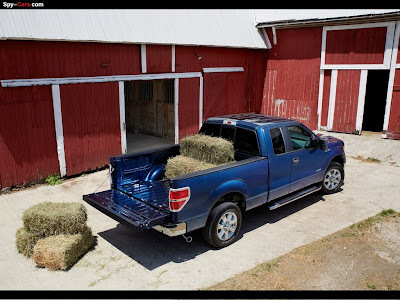 "Farm families have always represented an important F-Series truck constituency," said Doug Scott, Ford Truck group marketing manager and FFA sponsor board member. 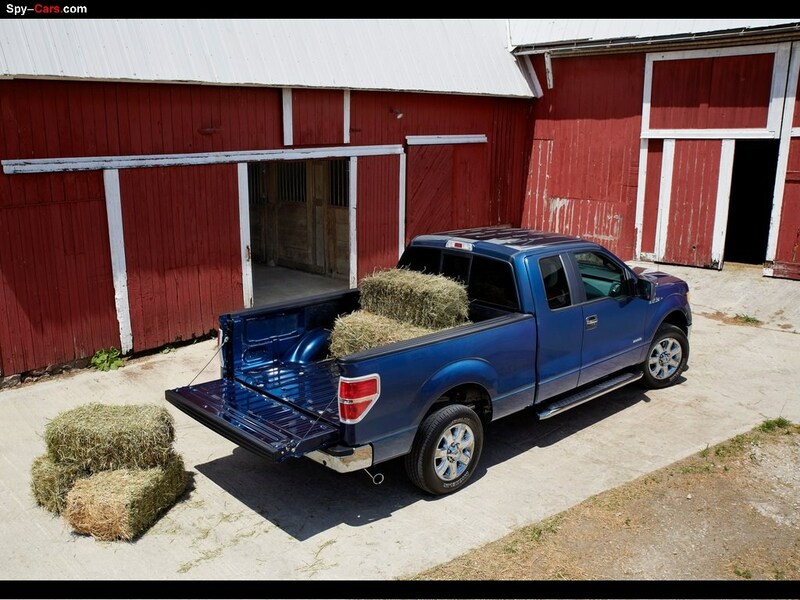 "For these multitasking customers, a Ford pickup means family transportation, economic livelihood, rugged capability and reliability. 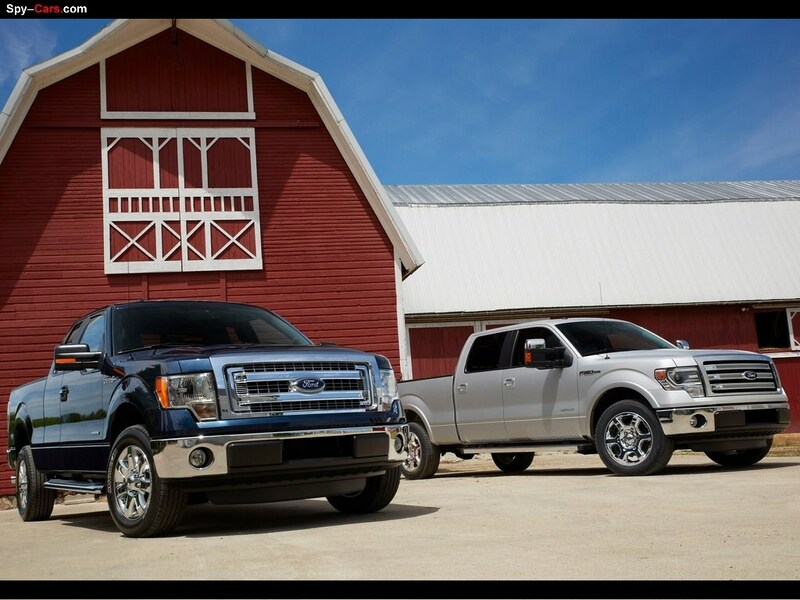 Like FFA, Ford pickups are an enduring agricultural tradition, and we are delighted to join forces with them to reveal the new F-150 models." 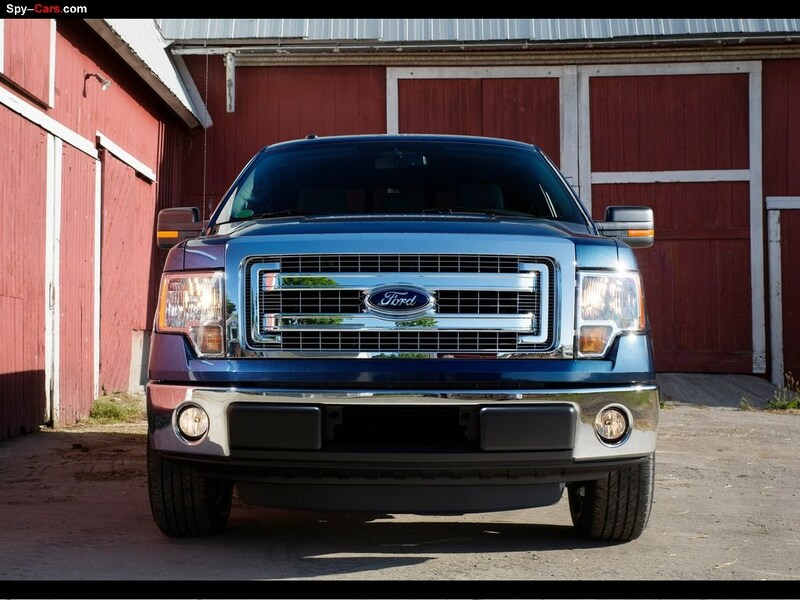 For 2013, the most fuel-efficient and capable light-duty pickup on the market continues to push forward with updated design and advanced technologies. 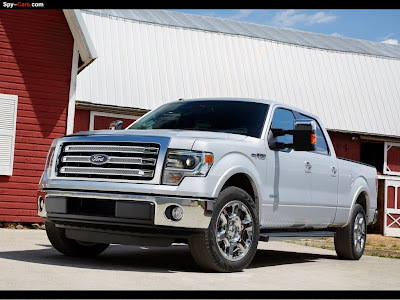 Ford F-150 also adds even more breadth to its expansive lineup with a new Limited luxury model and availability of the groundbreaking EcoBoost® engine, powerful 6.2-liter V8, electronic-locking rear axle and Hill Descent Control™. Outside, the Ford F-150 lineup gets bold new grilles combining fresh designs with instantly recognizable F-Series cues highlighted on the XLT model revealed today. New HID projector headlamps are available as a segment-first technology to deliver improved visibility and increase driver confidence. HID technology provides exceptional lighting performance while contributing a distinctive look with stylish L-shaped lamps. Ford F-150 style also is enhanced with new 18- and 20-inch wheels offered in various trim packages. Segment-exclusive power-telescoping and power-folding trailer-tow sideview mirrors add flexibility and convenience when operating in tight quarters, while enabling class-leading visibility. Ford F-150 pickups are available in three new hues including Blue Jeans Metallic, Kodiak Brown Metallic and Ruby Red Clearcoat Metallic. The 2013 Ford F-150 adds Ford's award-winning SYNC® voice-activated communications and entertainment system with 911 Assist® and Vehicle Health Report as standard equipment in XLT series and above. This enables hands-free, voice-activated control of enabled mobile devices. Ford F-150 also introduces SYNC paired with a new 4.2-inch LCD center-stack screen that provides enhanced displays of audio and climate-control functions. In addition, the instrument cluster contains a 4.2-inch driver-configurable LCD productivity screen including menus for gauge setup, trip computer, fuel economy and towing/off-road applications. 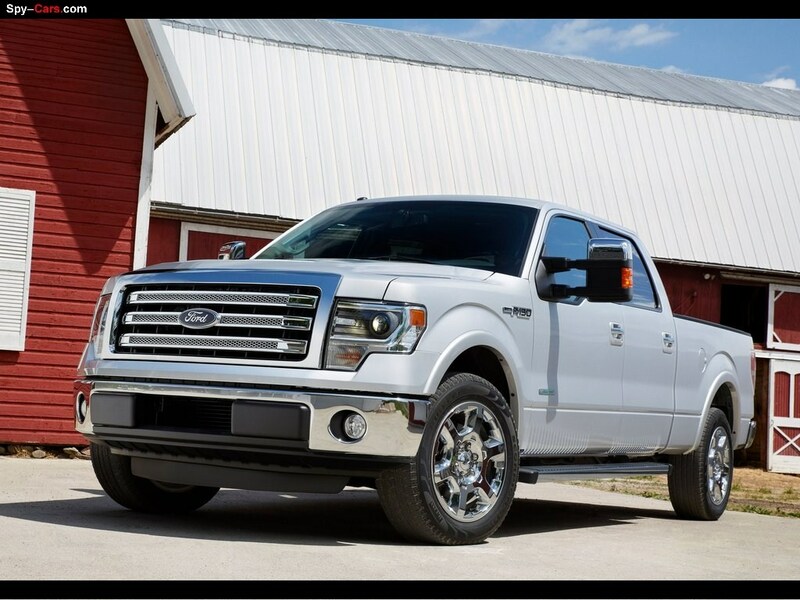 Lariat, King Ranch®, Platinum and Limited series models are equipped with SYNC with MyFord Touch, adding voice control to more vehicle systems coupled with an all-new, large 8-inch LCD color touch screen mounted in the center stack. This package adds a media hub with two USB ports, an SD card reader and audio/video input jacks. Ford's unique truck interface allows drivers to tailor their vehicle to their specific needs, such as wearing work gloves. This premium system can be augmented with an available voice-activated Navigation System, SD map-card reader, point-of-interest storage and integrated SiriusXM Travel Link. 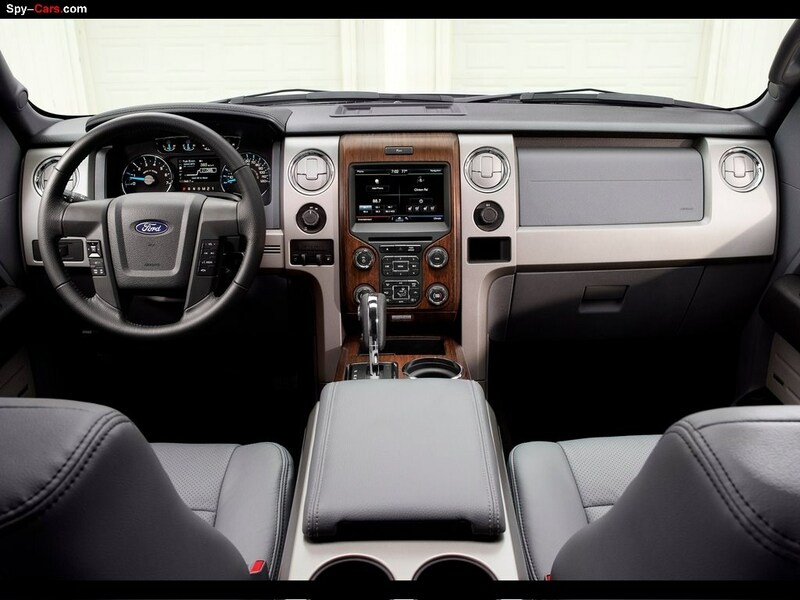 The 2013 F-150 offers a range of interior updates. The new 4.2-inch multifunction display and MyFord Touch interfaces gave designers the opportunity to deliver a more modern center stack and control layout. Several new environment colors include a Steel Gray interior on Lariat and a Black interior for King Ranch. Both of these series receive upgraded wood grain appliqués to enhance premium style. The aggressive FX Appearance Package now adds Alcantara seat inserts that amplify its sporty persona. 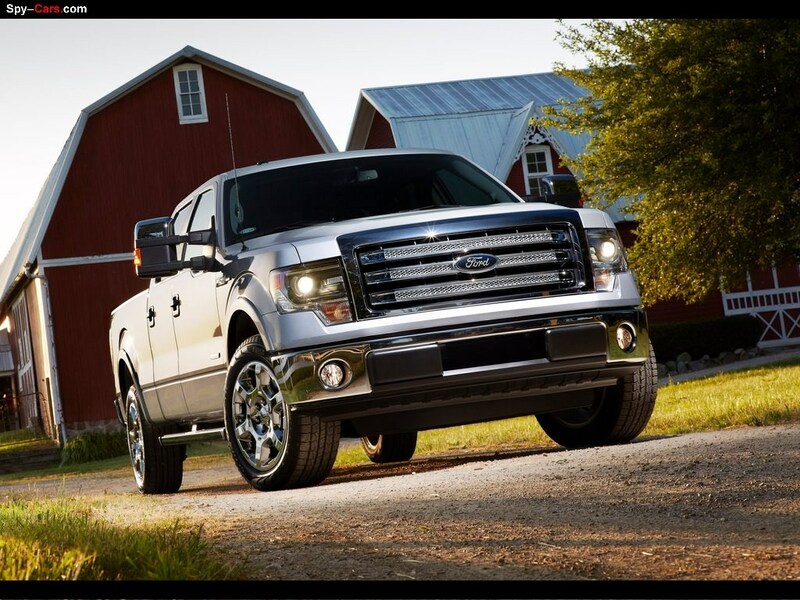 The Platinum series - synonymous with high-end trucks - offers new choices of Black or Pecan leather seating. 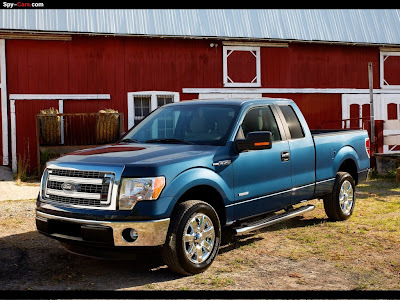 Ford F-150 continues to offer a wide array of models and packages, allowing buyers to tailor their Ford pickup to their individual needs and preferences. 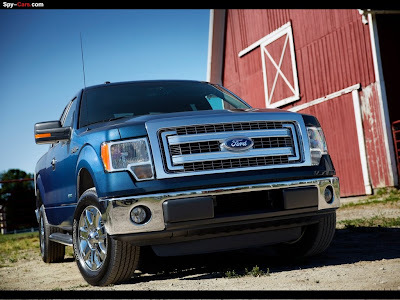 From the powerful yet fuel-efficient EcoBoost® engine to the mighty 6.2-liter V8, the most powerful eight-cylinder engine in the segment, Ford F-150 offers an engine to meet the needs of every customer. Each engine across the F-150 lineup is mated to a fuel-saving electronic six-speed automatic transmission with tow/haul mode, with tow packages and STX series and above adding SelectShift® capability. "The 2013 Ford F-150 adds more style and technology that sets a benchmark for capability and efficiency in light-duty pickups," said F-150 Marketing Manager Raj Sarkar. "We continue to focus on the no-compromise solution for our customers, giving them all of the conveniences and technologies they want with the capability they need and the fuel efficiency to go further."